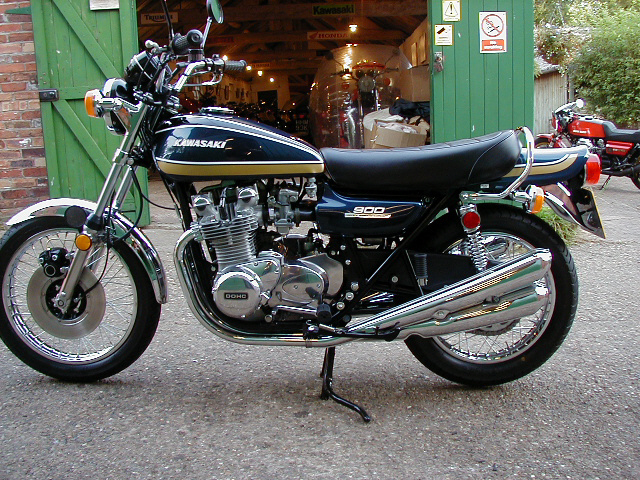 1975 Kawasaki Z1B for sale. 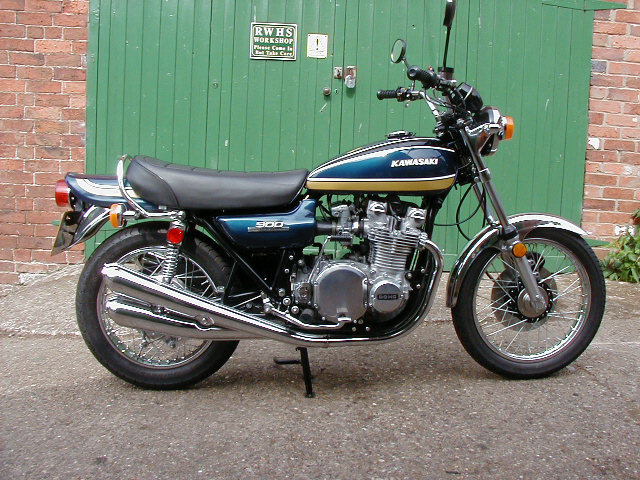 The Z1B is the third version of Kawasaki's legendary Z1 900. It incorporated various updates and technical improvements over the earlier models and was available in either candy super red or candy super blue. Condition. 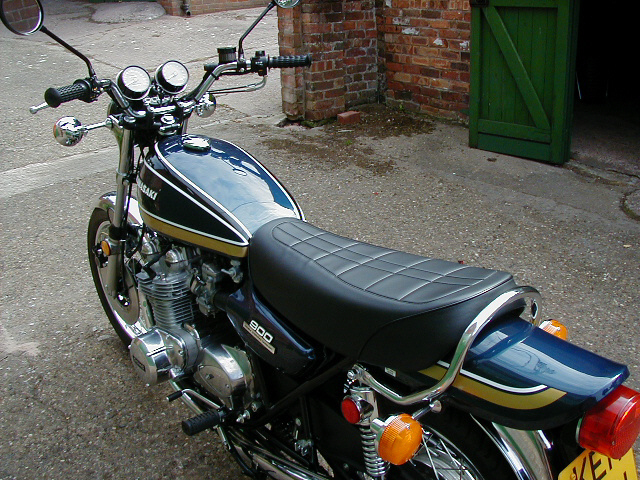 This example was originally sold in the USA and Registered in the UK in the early 1990s. Considerable restoration has been completed by us during August and September 2011. This work has included frame re-painted and checked, re-built wheels, new chrome, new paintwork, new exhausts, new tyres, battery, regulator, clocks, switchgear etc. etc.. full details available. 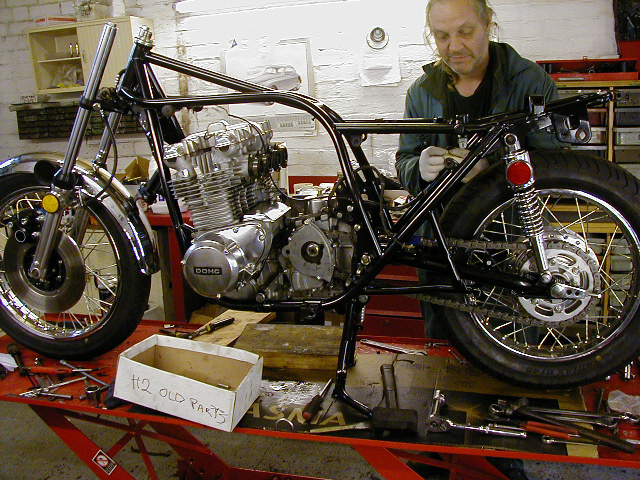 Whilst we have not completed a 100% re-build the bike is in "show condition". Full details and photos of our re-build, together with a new owners hand book, Haynes manual and tools are included. Preparation. 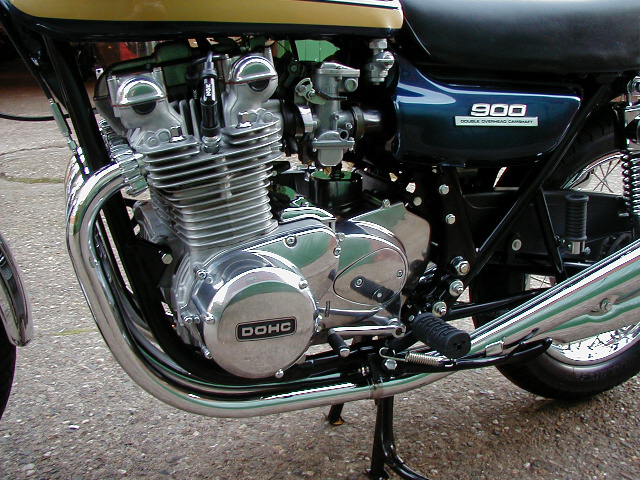 The bike has been HPI checked, road tested (to total over 50 miles), independently MOTed and serviced by us. It will also be given a pre-delivery road test and check. Warranty. Is for three months from delivery. Please email for larger images etc..